Peptilogics’ is part of the LifeX™ Ventures company foundry, which builds life science companies from its Pittsburgh headquarters. 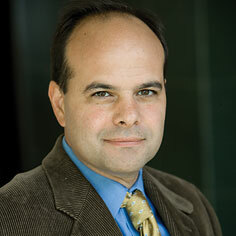 McGowan Institute for Regenerative Medicine affiliated faculty member Dietrich Stephan, PhD, is Professor and Chairman of the Department of Human Genetics at the University of Pittsburgh and CEO of LifeXTM Ventures. Peptilogics, which develops peptide-based therapeutics with its computational biology platform, announced recently that it has been cleared by Australia’s Therapeutics Goods Administration to begin the first in-human Phase 1 study of PLG0206, which is being developed to address prosthetic joint infection (PJI) and the global pandemic of multi-drug resistant bacterial infections. The PLG0206 clinical study received ethics approval from the Bellberry Human Research Ethics Committee (HREC) in Australia. PJI is a serious life-threatening condition with few effective treatment options. It affects more than 30,000 people each year in the US and has a 20 percent 5-year mortality rate. It’s most often treated with expensive and complicated surgical interventions, including complete replacement of the prosthesis. The number of cases of PJI is expected to grow as arthroplasties, one of the most common surgical interventions in the world, become more common in an aging population. Following Phase 1 completion, Peptilogics plans to file an Investigational New Drug application with the United States Food and Drug Administration (FDA) to conduct its initial PJI patient trial in the USA. The clinical trial approval for PLG0206 follows the previous designation as Qualified Infectious Disease Product (QIDP) for the treatment of PJI from the US FDA, which provides for up to 10 years of market exclusivity, amplifying the revenue potential of the asset in conjunction with the company’s multi-faceted intellectual property portfolio. Peptilogics’ development platform dramatically amplifies the nascent therapeutic activity of naturally occurring peptide moieties while at the same time optimizing for safety. In Peptilogics’ antimicrobial development program, PLG0206 has shown dramatic broad-spectrum antimicrobial activity against biofilms. It’s been tested against methicillin-sensitive (MSSA) and methicillin-resistant (MRSA) Staphylococcus aureus clinical isolates on implant materials following short exposure in a biofilm model, suggesting a solution to common and intractable PJIs. Peptilogics is a clinical-stage biotechnology company developing peptide-based therapeutics. The antimicrobial program focuses on peptides with novel mechanisms of action derived from the company’s eCAP (engineered cationic antibiotic peptide) platform for the treatment of multidrug-resistant infections. Through rational design, this technology dramatically amplifies the antimicrobial activity of naturally occurring peptides while at the same time achieving a strong systemic safety profile. The eCAP platform is producing antibiotics with broad-spectrum activity and lower risk of generating drug resistance. Renowned financier Peter Thiel, JD, is the lead investor in the privately held company. LifeX™ Ventures is a Pittsburgh-based life sciences company foundry and venture capital firm led by Dr. Stephan. At LifeX™ we believe the biggest investment opportunity is creating novel types of solutions that result from the convergence of different silos of expertise and address global unmet health needs. LifeX™ focuses on building companies that are developing therapeutics, diagnostics, medical devices and digital health companies with the potential to return billions of dollars and save millions of lives. LifeX™ takes an active and engaged approach to venture funding to ensure entrepreneurs get the guidance, resources and support needed to tackle these prevalent, notoriously intractable and horrific diseases.